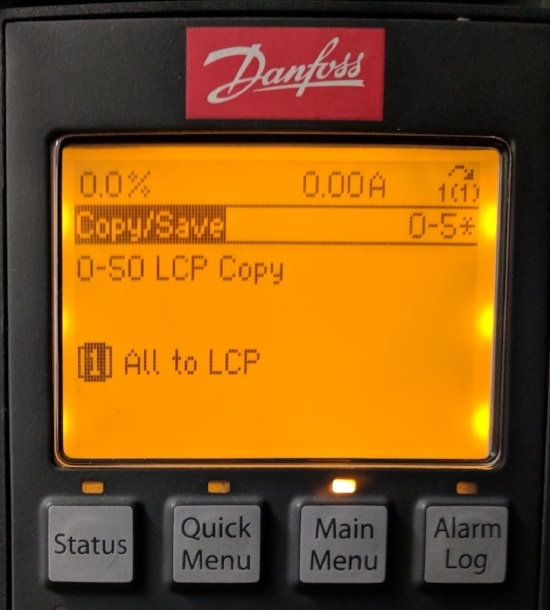 Hi- Today a customer was asking how to copy and save Danfoss VFD parameters to the keypad. 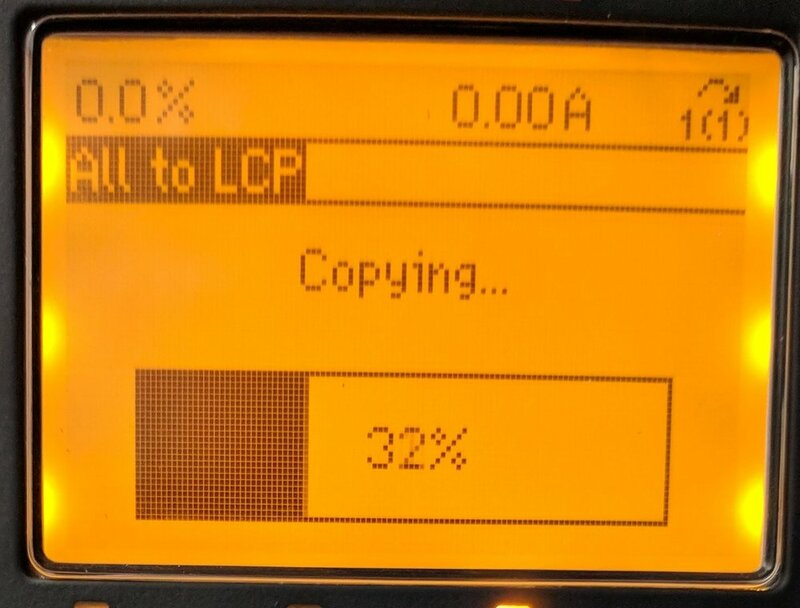 This process is very useful as a fast way to program drives— say that you have 1 vfd setup the way you want, and you want to copy those parameters to all of the other vfds exactly. Parameter 0-50 set to  “Size indep. 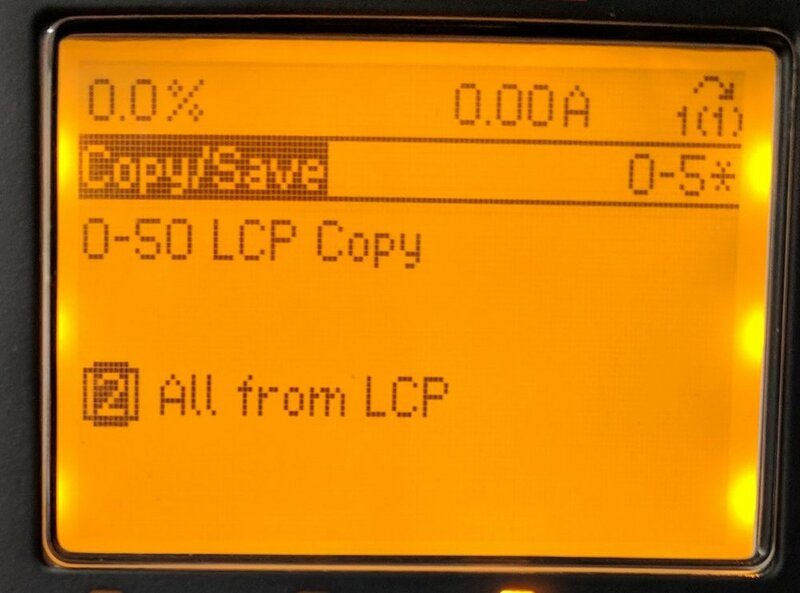 of LCP” meaning that all the parameters except the motor data will be sent to the new vfd. You will have to program the motor info (Motor FLA etc) manually. Make sure to check the motor rotation and other startup checklist items, this is just a quick way to get the parameters entered.